40. BILATERAL CONGENITAL MICROPHTALMIA CAUSED BY R.O.P. Other diseases that require prosthetic rehabilitation in pediatric patients. 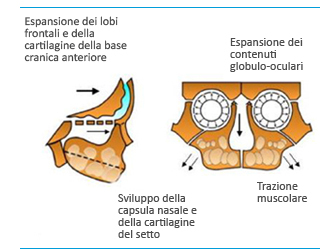 In the first years of a healthy child, along with the brain expansion, the jaw is actively pushed downwards by ocular globes and is moved following the influence of orbital expansion and muscular traction exerted by soft palate, tongue and muscle connections with the lower jaw. Around the age of 4 the brain growth slows down but the growth of the septal cartilage continues, thus developing the frontal sinus. 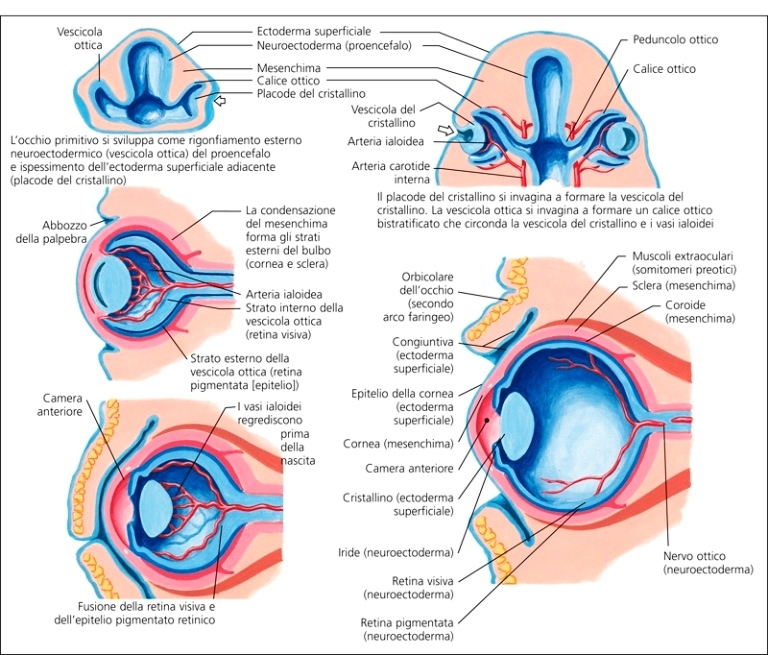 The anophthalmic socket and orbital development takes place particularly in this period of a child’s life and it is at this time that action must be taken. In these cases there is a marked hypoplasia of the tissues around the eyes, both soft and bone tissue, and they have an atrophic and underdeveloped appearance. The aim of prosthetic rehabilitation for pediatric anophthalmic patients is not only simply fitting an ocular prosthesis but also the correct development of the diseased region, as similar as possible to the healthy eye. This aspect is even more clear in cases of bilateral anophthalmia / microphthalmia, where the symmetrical development of the orbits and the anophthalmic sockets is essentially important. 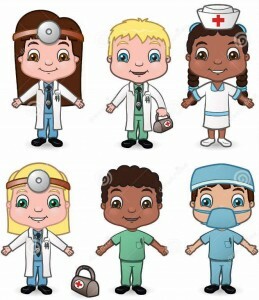 Our team is professionally trained to satisfy the different requirements of pediatric patients. We talk to their parents and discuss and suggest the different solutions they consider most suitable for solving the deficiency, in a psychologically suitable environment that makes them feel safe and helps them to face the session. The photographic database of pediatric patients is used to follow the evolution of prosthetic application step by step, in order to monitor the effective development of tissues and the achieved progress. Dalpasso Protesi Oculari is collaborating on a technical – scientific basis with the Robert Hollman Foundation in Padua which is at the forefront of consultancy and support in the development of children with visual deficiencies. In Italy, prosthetic applications for pediatric patients can also be totally reimbursed by the national health service.